ICT is one of top most sectors in Bangladesh with skilled manpower and huge potential to change our country in a big positive way. 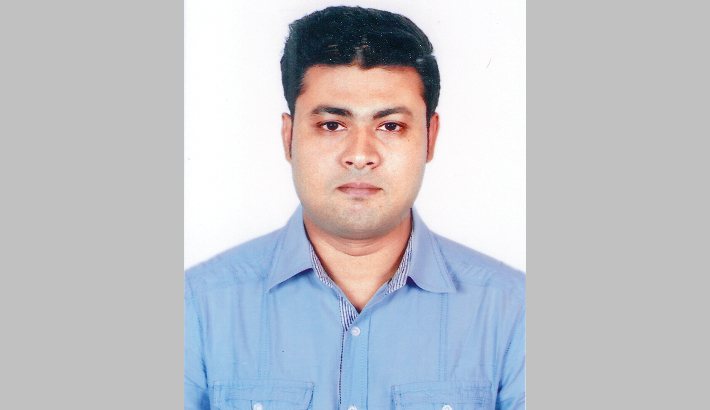 Bangladesh is a true land of opportunities despite all its flaw and problems. Dhaka city is one of the most densely populated cities in the world. You can say it’s a bad thing as life in Dhaka is a huge wastage of time. It’s obviously is very bad with uncontrolled huge population. But strangely in reality it’s not as bad as it sounds despite all these flaws of expensive lifestyle, unbearable traffic along with corruption. One strange thing about our country is businessmen are not that much eager to invest into a technology based company or idea though our country’s technology statistics are very encouraging. Still regular trading, buy, sale businesses are way more preferable to technology based investment. Things are changing, but not that much practically. Bangladesh has a staggering mobile penetration rate, 117 million subscribers to mobile out of 170 million population based on government database at data.gov.bd. Smart phone penetration is also rising at a great rate. Internet penetration including mobile and occasional users stands at 65 million and is growing because of persistent falling price of smart phones along with lots of variations and great deal of features. E-commerce shopping is also on the rise. The market, according to some unverified sources, size for e-commerce is over TK 400 crores a year and expected to grow manifold. Unfortunately, costly internet and inconvenient payment stand on the way to smooth growth of the sector. Today, almost 90% of e-commerce transactions are COD. MFS has grown significantly over the last couple of years. According to Bangladesh Bank data, the sector has grown 120% year-on-year since 2011 transacting over $1.3 billion per month. A recent report (Produced by Better than Cash Alliance and A2i jointly) suggests MFS has increased person to person transactions but failed to encourage business to business or person to business transactions. My main point is although our huge chunk of population is using internet on daily basis, most of them are not skilled enough to take the next step about it. And all are thinking about going to Dhaka city for their answers. Bangladesh is one of the top most countries which earned a huge amount of foreign currency only by freelancing works. All these people are very capable of doing work on the international level. Fortunately, our country is doing a lot of technology products for our people to serve digitally and our own people are doing it very good. One good thing about our skilled and semi-skilled young generation is their eagerness to be an entrepreneur. There are lots of courses and seminars on entrepreneurship throughout country, especially in Dhaka. These young people only have a great idea and willingness to do hard work to establish something new. But unfortunately there is no specific place or person or organization from where they can get a solid plan and roadmap to turn their idea into a real business, especially in the financial arena. So they start their idea without any long term vision and get into a competition of establishing and sustaining in the a very competitive market like in Dhaka. Only a very few can make it to the real business and most of them fall out of competition despite having good business idea. Only lack of a proper guidance and a true vision they lose hope and surrender to the competition which is very sad. And sometimes they don’t even find the courage and help to stand again to do business which I personally felt a few years back. No doubt that one must struggle a lot to establish something extra ordinary in the business world as it’s never easy. Most of our young business minds think to establish a business in a minimum time period as they are always in a hurry to make money without setting any long term goals though ‘There is no shortcut to make money’. And also these young entrepreneurs don’t conduct market research and feasibility properly before they tend to get into real business which is a very important step to do any business in really. I used to think like that once. I thought whatever idea I am having is truly unique. But in reality it’s just the opposite of what one is thinking. One must consider all the odds that the business might be facing on its way to the top and ready to improvise at all costs, because it’s obvious that the idea will change a great deal while doing business with the idea which one had at very first time. Entrepreneurs are usually highly confident by nature. The problem is that confidence sometimes leads to overconfidence. Sometimes they sort things out very quickly theoretically which is absolutely wrong. Few entrepreneurs think themselves alone is good enough to run almost everything which is another big mistake. There are a few (practically more than few) other things to consider which will come eventually to you once you get on the ride. But it’s always better to talk to someone truly professional or someone you think is best for consultation before diving into the competition. One should always decide to set goals and how to achieve that before start the business. One idea and concept is just the beginning. There are lot to think and plan on that concept to make it a successful business. And one thing to keep in mind, the road to establishing a business from concept is really very hard and there is no place for weak mind.